If you’ve been around awhile, you might know that I have a soap obsession. Today’s bar soap review is part of my ongoing soap saga. I talked, last year, about Chubbs grooming soap for my hair, did a bar soap review of their product here. It’s amazing soap. 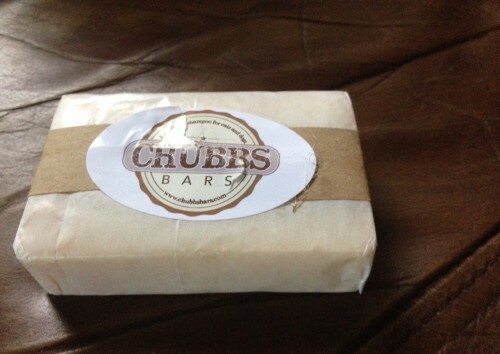 Chubbs is a natural bar soap for dogs and cats. I have half a bar left and use it for Chewy’s weekly bath. In a nutshell, liquid shower gels have additives to keep them liquid. These additives dry out the skin. So the companies add things to moisturize. I have naturally dry skin. I like natural things, not additives. So I’ve been using bar soap for more than five years. It’s made a huge difference for my skin. 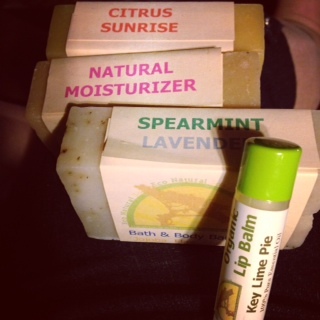 I adore Aubrey’s soaps – all handmade, from Goodies Unlimited – and have used them for years. Last year I found Chubbs at Bark World and it rocked my world. Even though it’s a dog and cat grooming shampoo, it’s all natural and works on human hair. It’s a de-greaser. I love it. But I decided to try an all natural bar soap for human hair, which also works well. My hairapist says that the natural bar shampoo doesn’t strip the color from my hair, and it doesn’t split my ends like the ingredients which cause liquid shampoo to lather. Win! 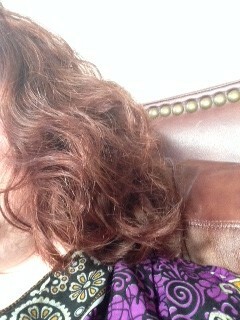 Red dye is easily faded or stripped from hair. Since I’ve been using bar shampoo, my hair retains the color for months. Still, I’m going back to the Chubbs with my next order. I like the overall results better than the human bar. The Chubbs is all natural. It’s a bar soap, so it targets the scalp. It lathers well without going overboard. It rinses clean. But what about a body soap? Well. 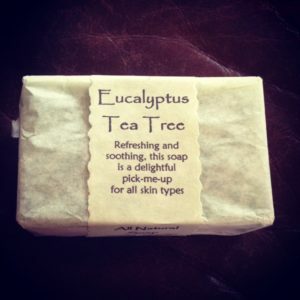 So far I’m loving the Eco Natural Soap. I won a blog contest this last week and ordered three bars of handmade all natural soap. Mmmmm. So far I’ve been using the oatmeal coconut bar and it’s wonderful. The scent is light, it rinses clean, and my skin isn’t drying out. I love it. 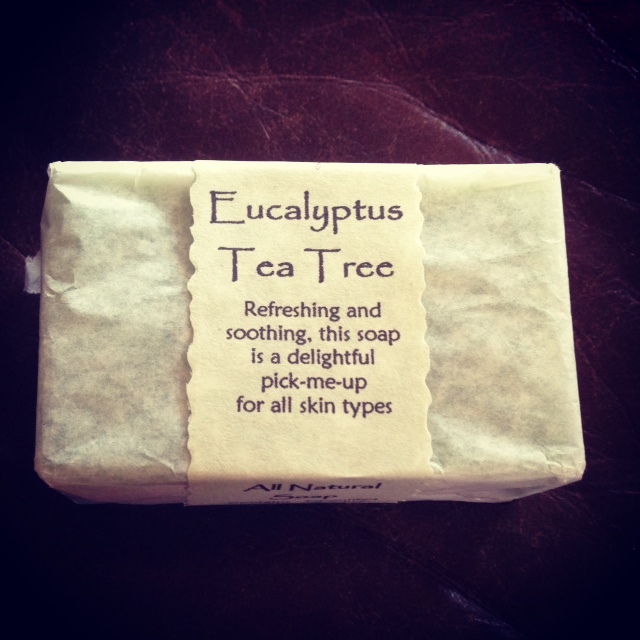 The company, Eco Natural Soap, uses organic materials, with no artificial ingredients. And the lip balm is amazing. My dry, chapped lips (thank you, Las Vegas) are soft and smooth. Here’s another perk – Eco Natural, at least right now, doesn’t charge shipping. That’s huge. Shipping is usually nearly the cost of the soap. And the bars aren’t outrageously expensive. I got three bars and a lip balm for twenty bucks. Once upon a time I would have thought that a lot of money for soap, but having using all natural bar soaps for a few years, I know that’s a bargain for a good soap that doesn’t dry me out. Chewy dries out my skin EVERY DAY. 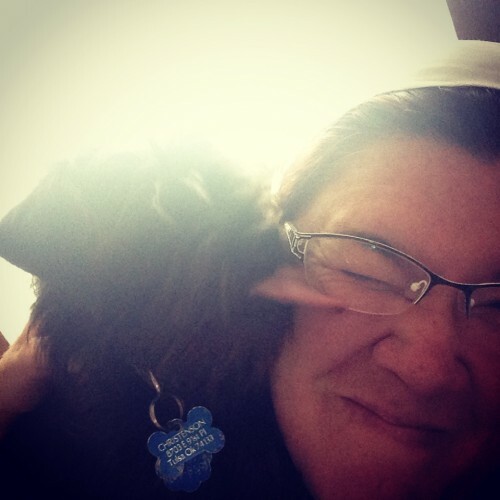 I need a moisturizing bar soap to protect me from this tongue! I know, no dog treat action today. Jones Natural Chews does have the absolute best dog treats in the world, true. Being all natural and completely sourced and made in America is a big deal. I should talk about that every day, right? But I figured it wouldn’t hurt to tell you all about something which makes me happy, which might benefit you as well. I hope it helps.